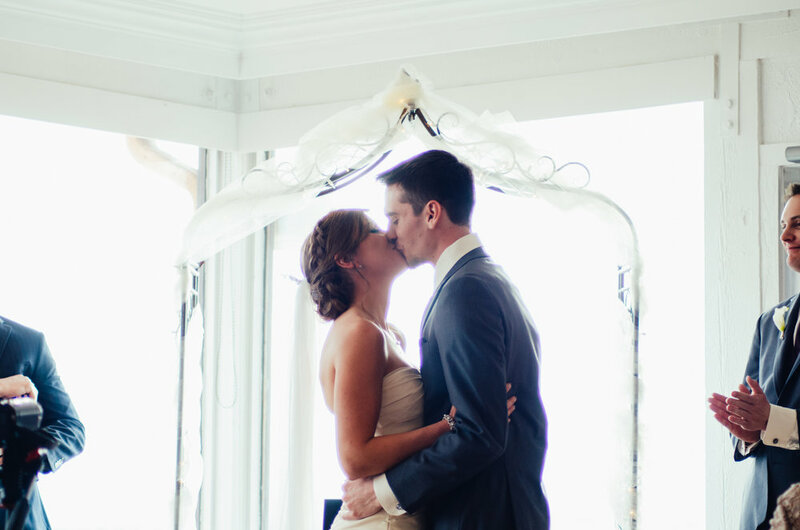 Oh, we are just smitten with this sweet Colorado wedding! 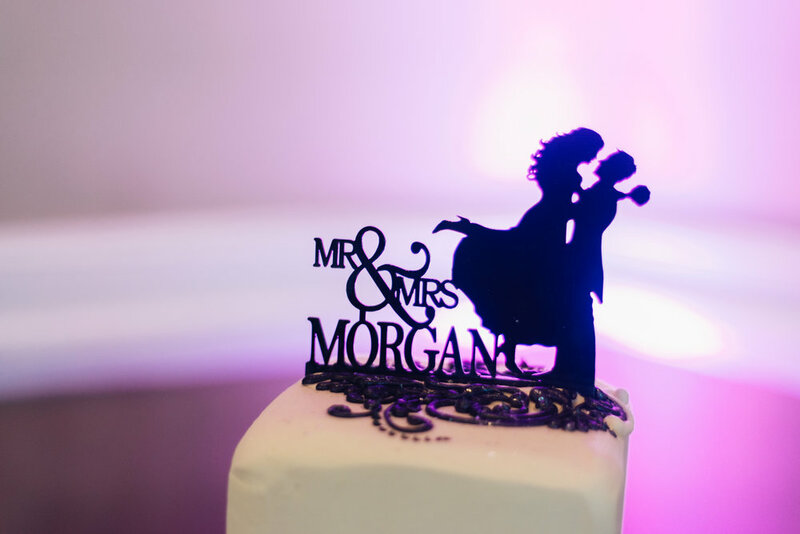 If this isn't love, then we don't know what is; just wait until you see them cut the cake! This happy couple's wedding overlooked the Rocky Mountains and city skyline at Brittany Hill in Denver. Emilee found her stunning Lazaro bridal gown at our Denver location. Our Brilliant Bride was just radiant in it when she married her groom Mike this past Spring. She accessorized with a crystal bracelet to accent the couture beading at her waistline and a pair of satin, eggplant shoes to match her bridesmaids dresses. Keep scrolling for some of our favorite images courtesy of Jethro Eli Photography, and you'll fall in love with this sweet couple just like we did. Congrats Emilee and Mike, we wish you many years of happiness together!